Stage 1 was a 2.8 mile time trial in from Ashley to the club in Middleton was into a cold Easterly head wind. The only rider to break 6mins was Jack Patmore from Wellingborough Cycles Race team with 5.57 mins. Stage 2 was a 56 miles road stage with 6 ascents of the Devils staircase, with the KOM at the top and points on offer each lap. Callum Clarke Sigmasport.co.uk made a lone bid midway through the race and was a clear winner gaining 50 seconds on 2nd and 3rd place with the bunch a further 2 seconds behind. Callum Clarke took an overnight lead of 46 seconds and had a clear lead in the KOM competition. Stage 3 was 50 miles on the flatter Middleton circuit, with the sun coming out. No one was strong enough to move away as the bunch averaged 25 mph. It came to a 45 rider bunch sprint with Ryan Henry Numplumz Mountainbikers narrowly beating Tom Medley from Welland Valley CC. Second and third respectively were Jack Patmore and Fabos Young from Wellingborough Cycles. Safely in the bunch and at the same time was the yellow jersey of Callum Clarke to take the overall lead by 46 seconds. 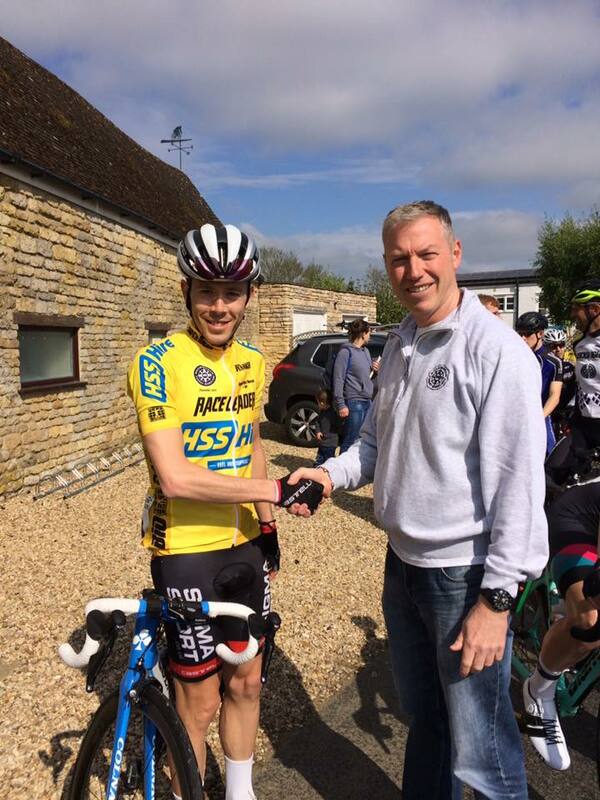 Edward Callow of Loughborough students secured enough points on stage 3 to take the overall KOM prize. Team prize was won by JCA-Equipe Velo riders: Jeremy Honor, Leigh Smith and Tim Edwins . ​Many thanks to Steve Woolmer of RFW who organised the event, and to all the marshals, caterers etc. who helped to make the race happen.